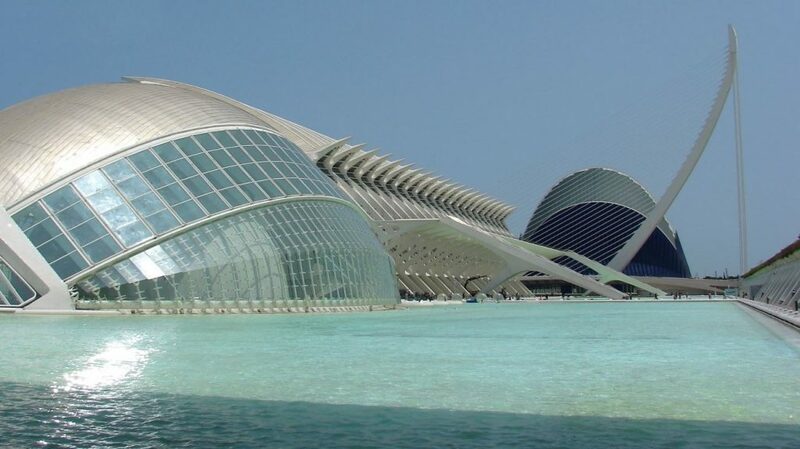 Wandering through the City of Arts and Sciences you wouldn’t think Valencia is over 2000 years old, in fact the first building in this futuristic part of Valencia was officially inaugurated in April 1998 and the most recent building opened its doors in October 2005. Founded in 138B.C. 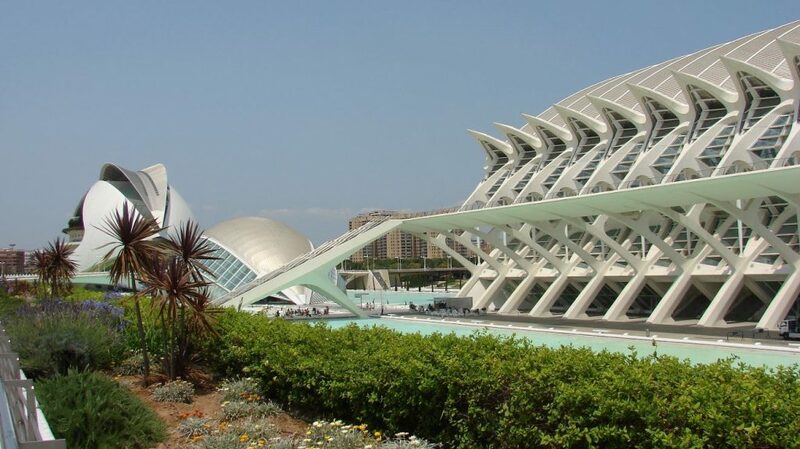 by the Romans, Valencia has a rich heritage full of iconic monuments such as the Silk Exchange, the Almoina, The Serrrano and Quart towers and the Cathedral. 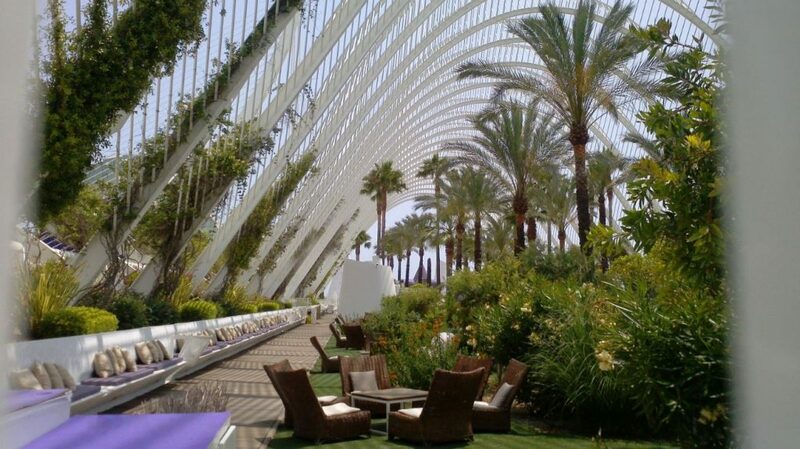 During our recent visit to Spain’s 3rd largest city we decided to leave the past behind us and focus on the future. In 1956 serious flooding damaged much of Valencia’s historic old town. 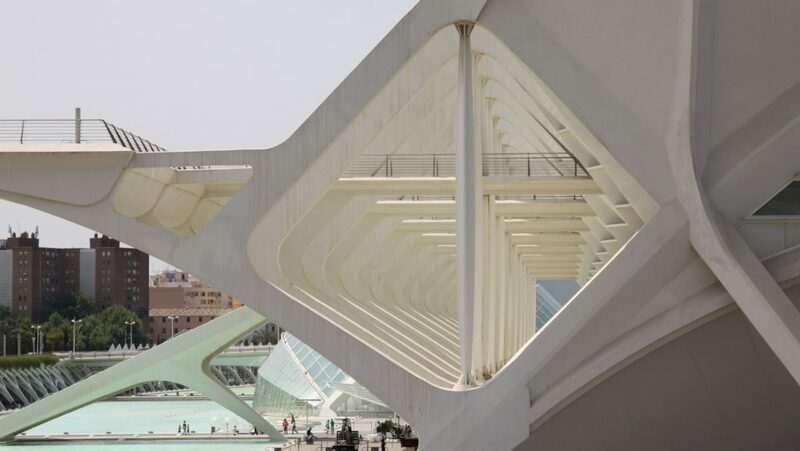 Consequently the river Turia was diverted and the dry riverbed transformed into a park with cycle ways, footpaths and football pitches as well as the amazing white Ciudad de las Artes y Ciencias, Europe’s largest cultural complex. 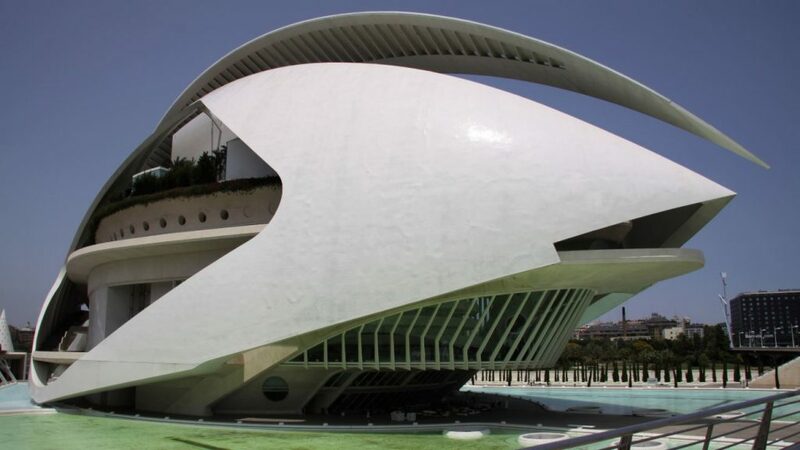 The City of Arts and Sciences, and its buildings designed by Valencian architect Santiago Calatrava and Félix Candela, offers the perfect blend of futuristic architecture and modern entertainment. 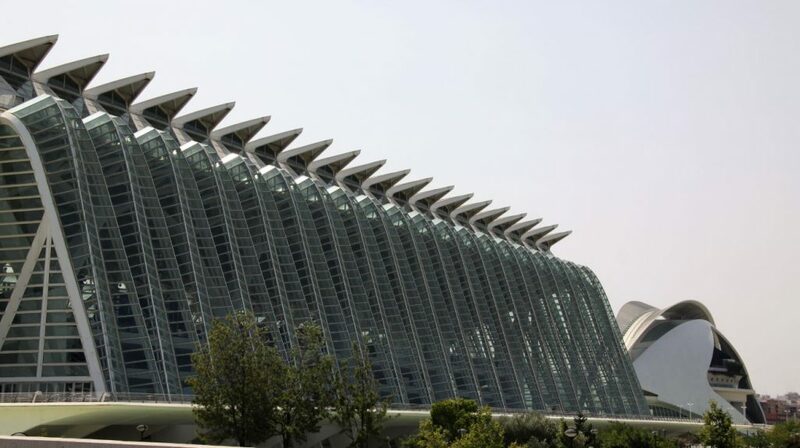 Covering around two kilometres of the former riverbed, the scientific and cultural leisure complex is a city within the city, worth of a trip on its own. 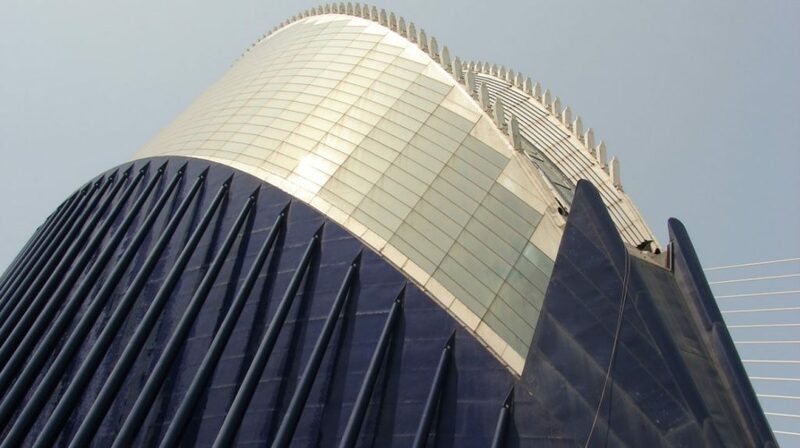 The Hemisfèric or planetarium is the centerpiece and first building to be completed in 1998. 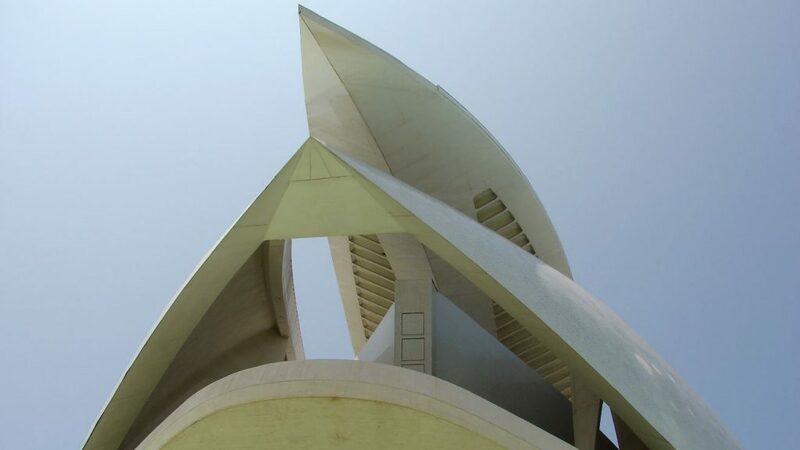 Its design resembles a giant eye, hence its nickname the “eye of knowledge”. 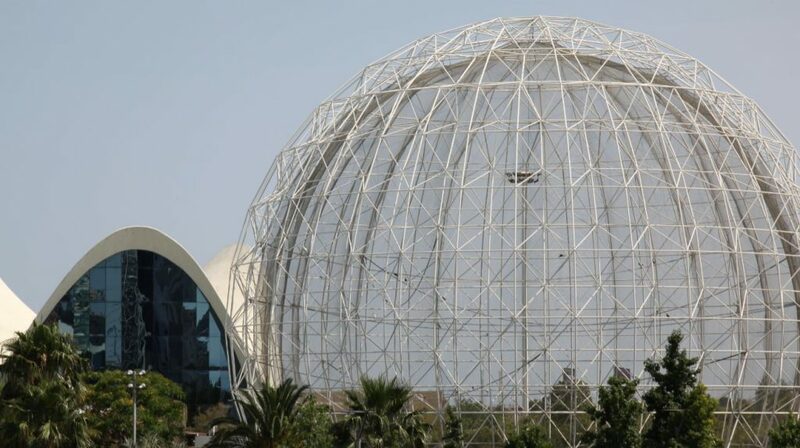 Inside the dome, the “iris” of the eye, is a 3D theater with a huge 900 metre concave screen. 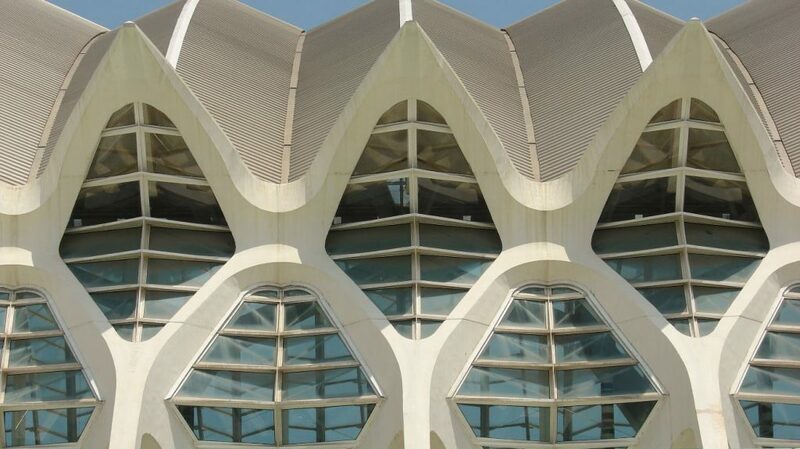 The impressive building, resembling a prehistorical animal or the skeleton of a whale opened its doors in 2000. With the philosophy “Not touching is prohibited” this is a full hands-on museum. 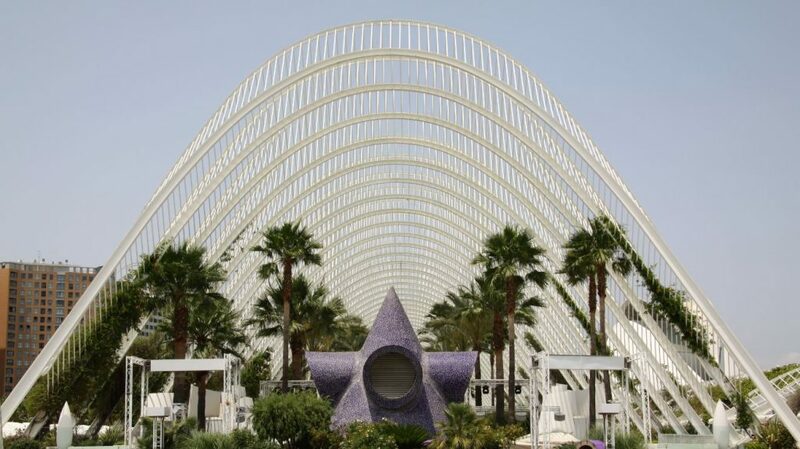 The Umbracle was inaugurated in 2001and is a huge, open-access garden designed as an entrance to the City of Arts and Sciences. 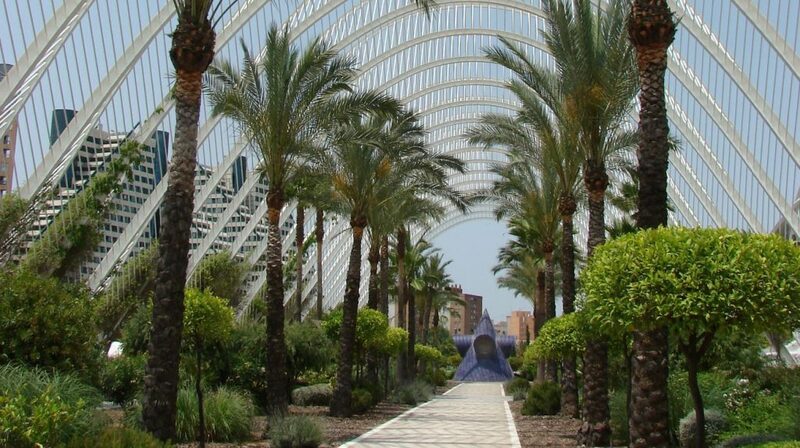 The winter garden is perfect to stroll around and take in the typical Mediterranean plants (palm trees, orange trees and other local plants) while admiring the contemporary sculptures. 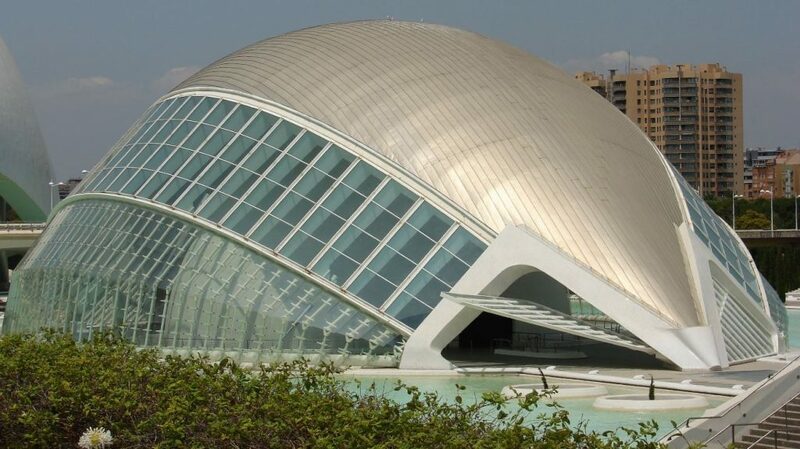 The Palau de les Arts is the place for music lovers at the City of Arts and Sciences. 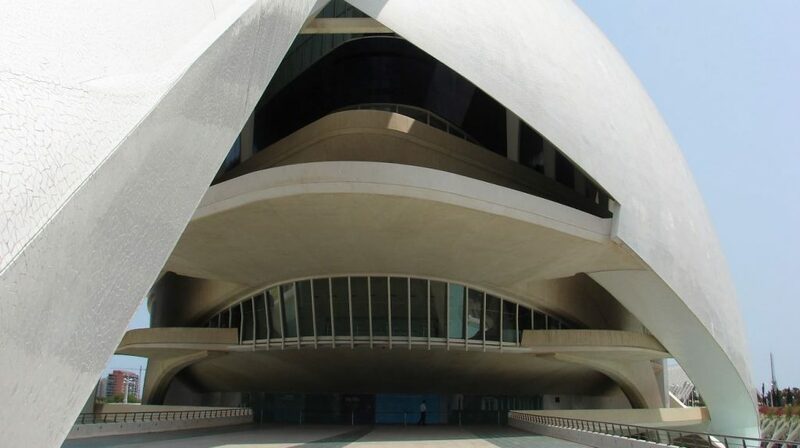 From October to November, its programme includes operas, concerts, zarzuela and ballet. 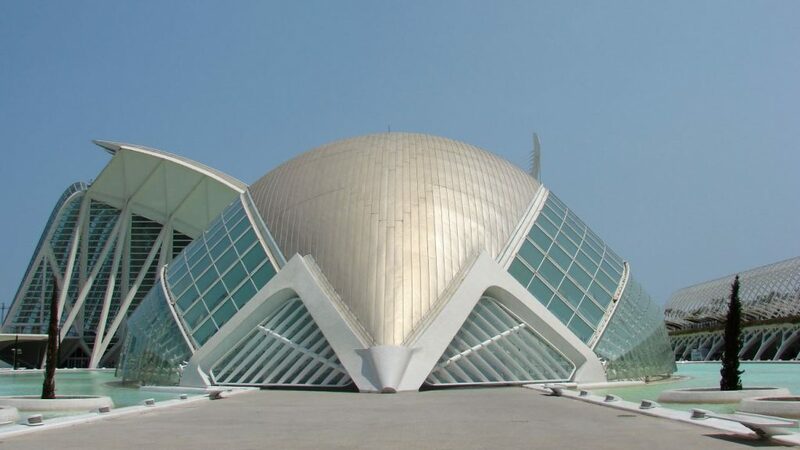 The building can be visited when it is not being used for performances. 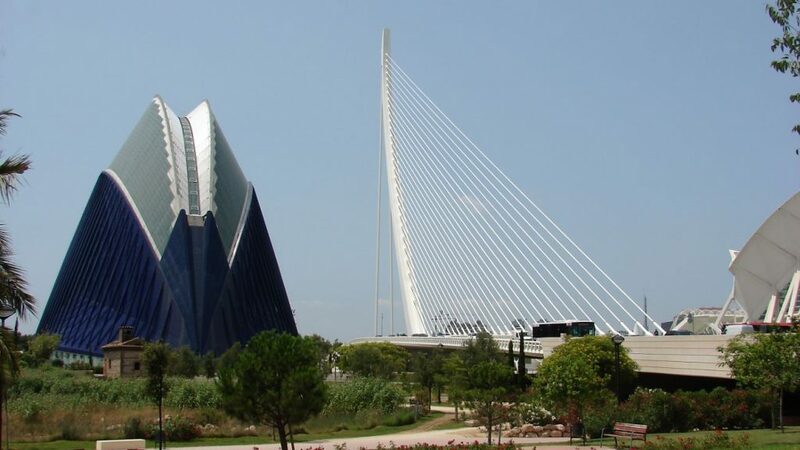 The white cable-stayed bridge crossing the dry Turia riverbed is also the work of Santiago Calatrava and was opened in 2008. 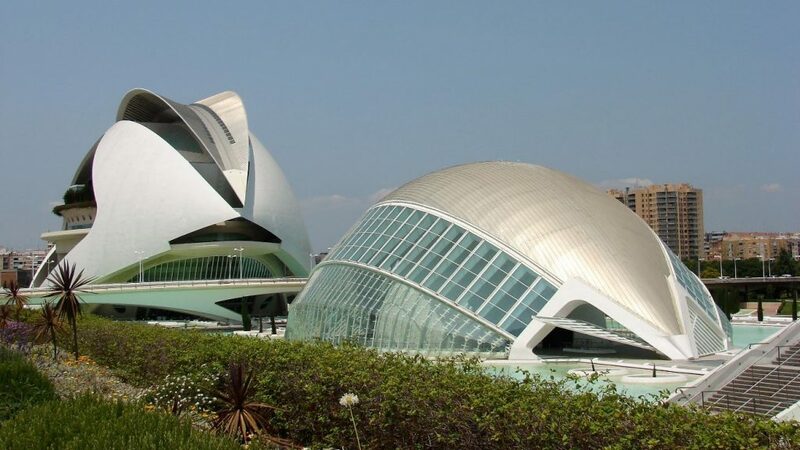 There are several lanes for traffic in both directions and there is a pedestrian bridge in the centre connecting the two banks of the Turia Gardens between the Science Museum and the Agora. The tower of the bridge is 125 meters high making it the highest point in the city. 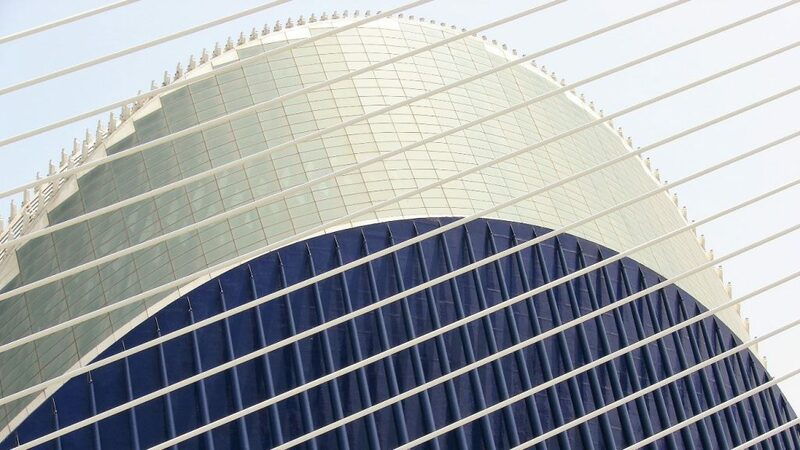 The most recent building at the City of Arts and Sciences, the Ágora, feels somewhat out of place due to its blue facade. The versatile venue hosting a wide variety of events is not usually open to the public and cannot be visited. 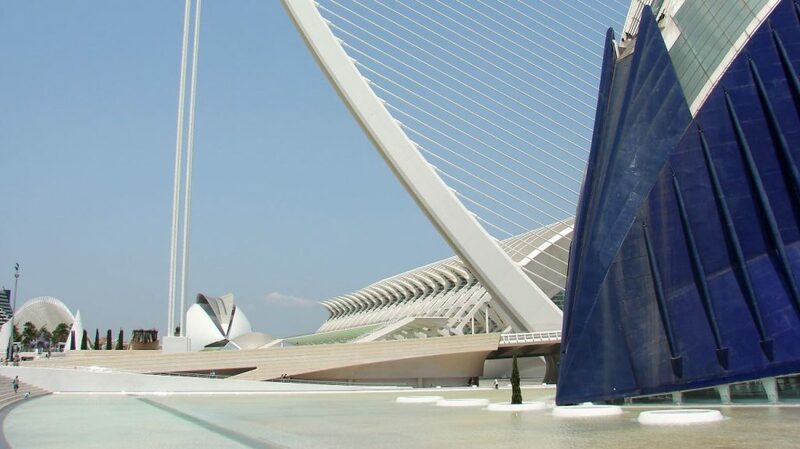 For more info visit Ciudad de las Artes y las Ciencias.